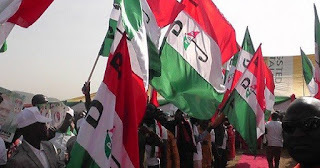 The Peoples Democratic Party (PDP)'s presidential campaign organisation has said that it would put its campaign on hold in solidarity with the suspension of the Chief Justice of Nigeria (CJN), Justice Walter Onnoghen, by President Muhammadu Buhari, The Punch reports. Khodedbaze gathered that the suspension would see the party not holding its campaign in Benue state today, Saturday, January 26. In related development, the Senate president, Abubakar Bukola Saraki, urged President Muhammadu Buhari to immediately reveres himself on the suspension of chief justice of Nigeria, Justice Onnoghen. The Senate president said this in a statement on Friday, January 25. He added that the Nigeria's constitution makes no provision for the suspension of the nation’s highest judicial officer.